Endemol Shine Turkey (EST) is to close after its parent, Endemol Shine Group (ESG), filed to make the Istanbul-based prodco insolvent. The move comes after ESG fired EST bosses Hakan Eren and Gökan Tatarer after a strategic review allegedly revealed mismanagement. 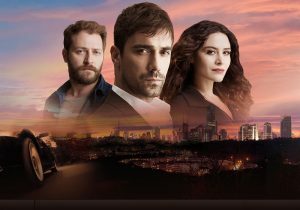 Endemol Shine then began “a comprehensive analysis” of the Istanbul-based business, according to a press statement released this morning. This has ultimately led to the decision to file for insolvenct, effectively closing the prodco. “Since discovering serious issues around the local management of Endemol Shine Turkey we have undertaken a comprehensive analysis of the business in Istanbul, managed by independent financial consultants over a number of weeks,” the statement read. ESG said it was working with EST creditors, “with a view to minimising the financial impact on those affected”. Local administrators will take over the insolvency process, who will manage debts. “This will include disbursement of on going distribution income from titles owned by Endemol Shine Turkey, which will contribute towards outstanding liabilities,” the company noted. Following news his axing, Eren contacted TBI claiming that funding issues had stemmed from ESG commercial decisions, and that “there was not a single penny” that could not be accounted for. He also pointed to a souring of political relations between the Netherlands, where ESG is based, and Turkey in recent months as a factor in a perceived change of attitude at the parent company. Eren is seeking compensation for various alleged damages.